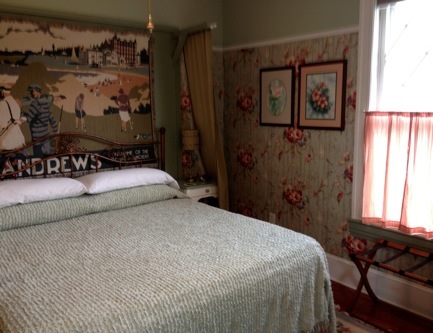 Along with the delightful breakfast room, there are three beautiful bedrooms in the upstairs area of the B&B and sitting rooms on both levels. 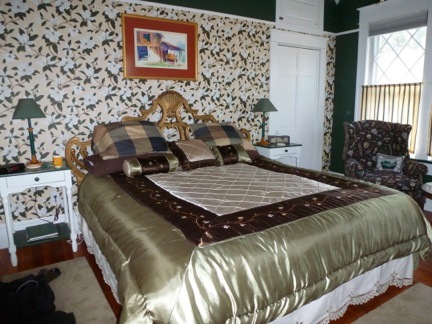 Each bedroom has a television, alarm/clock radio, and coffee pot and its own bathroom. 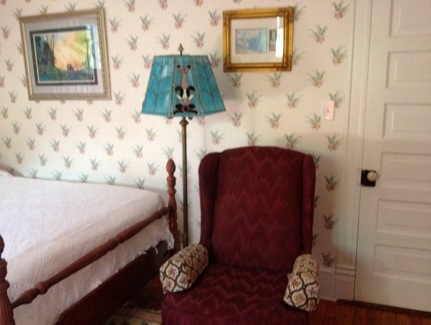 The rooms are all spacious and have plenty of room for your own personal treasures and travel items. Each room has its own independent heating and cooling system which allows the occupants to adjust temperatures to their liking. This room was inspired by the still life watercolors of Catherine Jones that highlight afternoon teas from elegant china cups. This is where all guests meet at the start of their days and waken to freshly brewed coffee and fabulously scrumptious gourmet offerings. In fair weather, guests may wish to be served their morning repast on the copious veranda. This room features a Southern Magnolia motif that invites you to lounge in the kingsized bed or cuddle up with your favorite book in a comfy wing-backed chair. The three-bay window overlooks the Postmaster’s house, the oldest residence in Historic Aberdeen which boasts a glorious towering Southern Magnolia Tree. 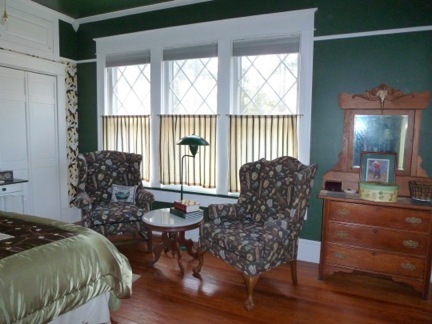 The beautifully restored heart of pine floors glisten with remembrances of the past. 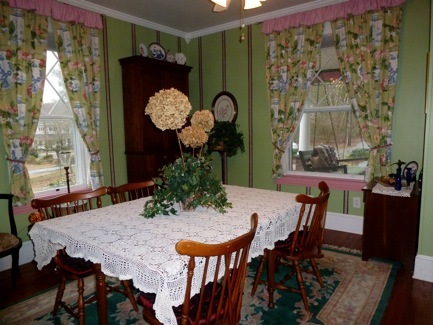 This room overlooks the waterfall, stream, and pond which grace the northern side of the B&B. In nice weather, open the windows and listen to the flowing water which relaxes and soothes both spirit and soul. In addition, the wall hanging of the Old Course in St. Andrews and the featured artwork by Catherine Jones, which displays gorgeous roses and hibiscus watercolors, add to a sense of nature and calmness. 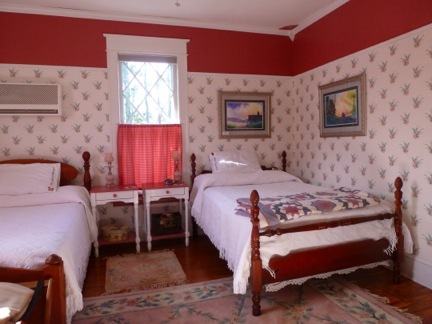 This room is perfect for many travelers as it features two double beds handmade of beautiful cherry wood. 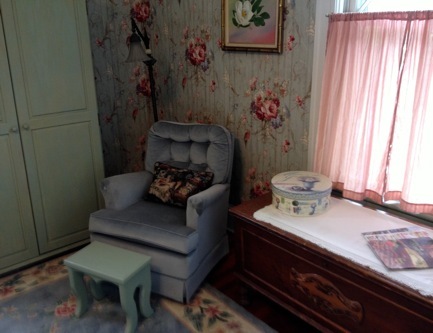 Often parents choose this room for their children which is just across the hall from their own room. The Lily of the Valley wallpaper is adorned by Tom Jones watercolors and the wing-backed chair makes a lovely reader’s nest. 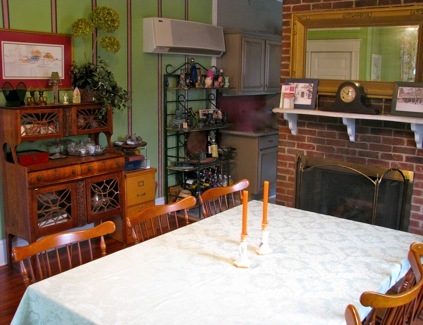 The upstairs sitting room features Victorian furnishings including a velvet sofa and a three-piece velvet settee along with a walnut marble-top dresser. Be sure to gaze at the pen and ink drawing by a local artist of sights in Aberdeen and more Tom Jones watercolors. 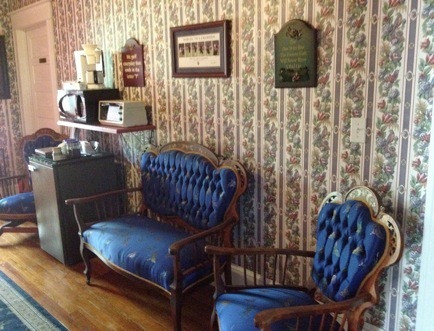 The upstairs hallway has amenities for all guests including a refrigerator, microwave oven, toaster oven, iron, ironing board, full length mirror, a rocking chair, and a beautiful Victorian settee. 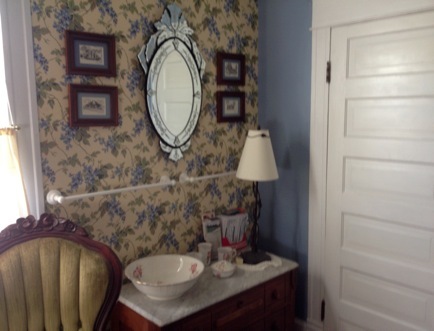 Please remember to sign the guest book which is in the nook by the front window.